Taking a deep breath, I force myself to close my eyes and contain and control the growing nerves in the pit of my stomach. My palms are sweating and I swear my hands are trembling. I don’t get nervous often, but, right now, my entire body is humming with energy. My life as a stay-at-home mom in Mount Pleasant’s Old Village is a sweet but sometimes monotonous grind of grocery shopping, visiting playgrounds and controlling the chaos that is our home. Yet here I willingly stand, covered in full body protection, from mouth guard and helmet to kneepads and wrist guards. I am ready, literally, for battle. I know that in the next hour, I will body check, hit, fall, sweat and finally, experience complete exhaustion, all in the name of the sport I’ve dedicated my life to in the past few years – roller derby. While roller derby often evokes images of rough-and-tumble tattooed ladies with a flair for theatrics and fishnets, the sport has evolved since its most recent incarnation in 2000 into a much more competitive, mainstream event. Two teams of five skate on quad roller skates, each attempting to get their point-scoring teammate – the jammer – through the pack of opposing skaters first. The successful jammer then weaves, jumps and hits her way through the pack repeatedly, scoring one point for every skater she leaves in her wake. The game, a test of skill, stamina, agility, strength and strategy, is played out in two-minute increments called jams during two grueling half-hour halves. Thirty-five-year-old Allison Rhoden, aka Rhoden Rage, owner of Kiln’ Time in Mount Pleasant, is drawn to the sport for more than one reason. 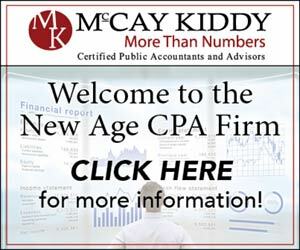 “It provides an outlet for me and allows me to be competitive and athletic. I get to subvert the dominant paradigm of what is a “traditional” sport for women. It’s fun. It makes me feel empowered and strong, yet humbles me and drives me to work harder,” she explained. The empowerment aspect of roller derby is magnetic. When I saw my first derby game, I was instantly in awe of the strong women I was watching. 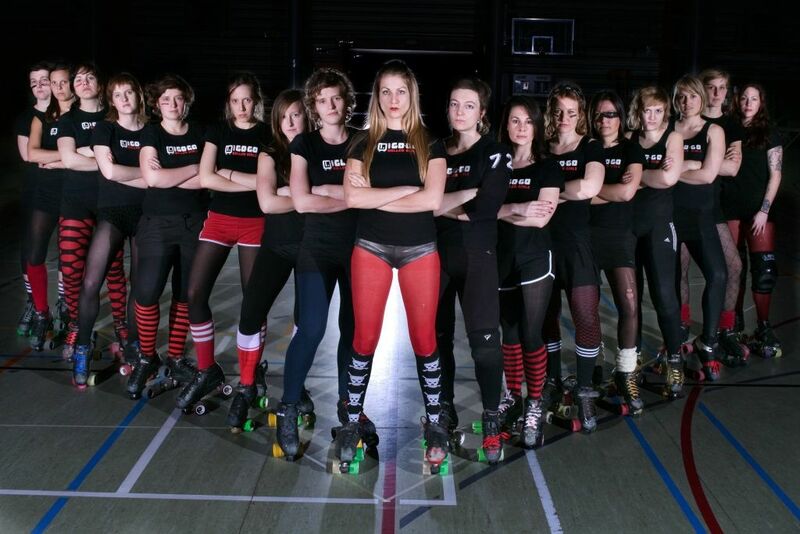 Though I hadn’t roller-skated since I was a child, I was inspired to start Belgium’s first roller derby team in 2009. The Gent Go-Go Roller Girls are now among Europe’s top teams and have taken the national title two years running. Starting, training, coaching and skating with that team remains one of my proudest achievements in my life. For me, the sport of roller derby has maintained its intrigue. When I moved to this area in 2012 with my husband and newborn son, I joined the Low Country High Rollers as soon as I could. I coached the All Star travel team last year and currently skate with both the All Stars and the Betties. Mount Pleasant resident Sarah Lynch, aka Atlas Angel, carpools with me to the games and most practices. A sweetie by day, this blond bombshell is a fierce, competitor on the track, unmovable and unshakable. She turns up the volume up on the radio, and we get pumped as we drive to the Citadel, where we’ll face our opponents in front of bleachers holding hundreds of fans. My friendship with her is one of the many perks of roller derby. The roller derby network consists of more than 60 skaters, referees, officials and volunteers, all of them unique. One skater is working on her PhD in heart cell research, while another was Miss Hawaiian Tropic and a third is a butcher at a grocery store. Ranging in age from 18 to older than 40, it’s fair to say that there is no typical skater. Back at the Citadel’s McAllister Field House, we’ve had our 15-minute warmup on the track, which is really just a way to shake off the excess energy that is building up with every passing minute. The referees check our equipment, the announcers introduce the skaters and the collective enthusiasm of the crowd continues to build until the whistle starts the bout. The first jam is shaky, a blur of body parts and wheels. We attempt to maintain our walls, hold back the jammer and hit the blocker who’s wailing on our own jammer. It’s over in what feels like seconds. Did we communicate enough? Was there teamwork? Did our strategy work? Again and again, we skate, sprint, block, hit and hold. At the half, our coach tells us what we did right and wrong and sends us back out onto the track, rejuvenated and ready for more. I realize we’re more than capable of winning, and this knowledge steels my body. The nerves are long gone, replaced by laser-like concentration. The ref shouts “30 seconds,” and we race to the line, crouching low, ready for the whistle to blow. The chanting of the crowd and the screaming of the bench provide faint background noise. I see only the opposing jammer poised to sprint. I touch my teammates next to me, eyeing the jammer with every intention of hitting her as hard as I can. It’s that moment that I relish – pure, unadulterated love of the sport. The whistle blows, and the jammers jump and juke. My teammates and I push our hips together, shove each other into opposing blockers, race back, stop quickly, fall down, pop back up, slam our shoulders into chests and backs and then it’s over. We’ve won– barely but definitively. The crowd rushes the track, lining up with their arms outstretched and, as a team, we skate our victory lap, high-fiving the fans as we cruise by, laughing, smiling, relieved and proud. The pressure of the competition has passed and the time to celebrate has arrived. The well-deserved after party beckons. Interested in trying out roller derby? 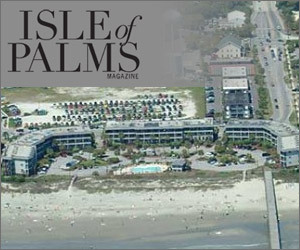 For more information, visit www.lowcountryhighrollers.com. I have chills reading this!!! Amazingly accurate; I can imagine every moment this took me through! Roller Derby is an extraordinary gift that I get to give to myself (hopefully twice a week) and fills me up like nothing else can come close to! Smelly, thank you for writing this! Thank you for coming to Charleston! I’ll see you on the track! Shoves!